When Correy Gibbs started his college career at Delaware County Community College in 2010, he had just graduated high school, wasn’t working yet, and could afford to focus all of his energy on his class work. But by the time he enrolled at Peirce College in 2016, he had a full time job, a busy personal life, and he wasn’t sure he had enough time in his day to continue his success as a student. Does this sound familiar to anyone? Well, two years later, Correy is maintaining a 3.85 GPA, and finds himself with less than one year remaining until he graduates with his Bachelor’s Degree in Information Technology with a concentration in Networking, Administration and Information Security. Correy said he had a wonderful experience at Delaware County Community College (DCCC), but that it almost stopped before it even started. He originally declared as a Computer Science major, but after ten minutes into his new student orientation at DCCC, Correy said he quickly learned that his interest fell elsewhere. “My dad had steered me towards computers and I thought it’d be right for me, but then I learned about Network Engineering and thought it would be a better fit for what I wanted to do career-wise,” he says. Correy first heard about Peirce from DCCC’s transfer counseling department as a student, but it wasn’t until he was a graduate working for DCCC that one of his co-workers told him he was planning to attend Peirce College for Information Technology. 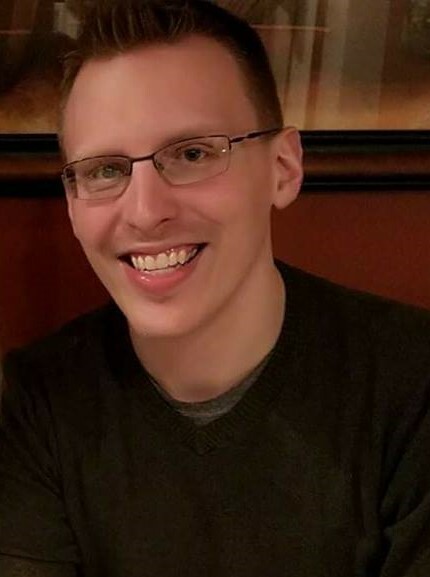 Remembering that Peirce allows students to take online coursework that would enable him to keep working full-time, he decided to enroll in the Network Administration and Information Security program in the fall of 2016. When he’s not fixing anything and everything “tech-related” at Delaware County Community College or completing his studies online through Peirce’s PeirceFit® format, Correy enjoys fishing, mountain biking, and hiking. “If I’m not working with computers and getting networks back online, you can always find me outside in nature,” he says. We congratulate Correy on his successes to date, and wish him all the best in his future!